Last week I enjoyed an overnight stay at the newly opened £30 million Lifehouse Country Spa Resort located in Thorpe le Soken in the Essex countryside. It was my first time visiting Essex and I loved every minute of it – the people are very friendly and the sun was shining! After an early start and a long journey from the North East, I arrived in Rural Essex (no TOWIE extras in sight!) to be greeted by the other lovely girls joining me on the trip. We were picked up from the Train Station by the kind Taxi Driver from Lifehouse Spa who insisted on taking our luggage to our room – it was nice not having to think about anything and to just switch off and relax for once! We were greeted by the Manager Director, Marco Truffelli and the lovely lady Cat once we arrived at the Lifehouse Spa who made us feel very welcome. I loved that they had a real fire burning in the entrance which the smell of the burning wood was very comforting and made me feel right at home. We were taken into the lounge for a special ‘Blogger’s Champagne Cocktail’ and asked what we would like for afternoon tea whilst Cat sorted out checking us in. We were given our itinerary for the day, our room door keys which were in a white leather wallet and instead of having to swipe it in the door – you just held up the card on the sensor of the door – no messing around! The spa has a lovely atmosphere, a mix between old and modern and there is a lot of space and light which are the two things you need to fully relax Cat informed me. My room was located in the Mulberry wing, reached by a glass walkway overlooking the 12 acres of listed gardens. The room was nicely decorated, comfy beds, squishy pillows, and little touches such as complimentary Elemis products, shower caps, body brushes, slippers and fluffy dressing gowns. There was a tray in the room with tea/coffee refreshments and glass bottled water that could be refilled with machines around the spa. There was a TV in the room but have to say I wasn’t inclined to even switch it on once during my stay! Same goes for mobile phones and laptops – you can only receive signal in your bedrooms (just for emergencies) to encourage you to switch off from technology and relax. There was a switch by the sink to turn on the power shower to prevent you soaking your dressing gown arm and the shower beeped when it was at the right temperature! Cat kindly gave us all a goody bag with a few products to try which I shall be reviewing separately. We had a tour of the contemporary country Spa resort and I couldn’t believe how large the complex was all set in 130 acres of beautiful grounds. 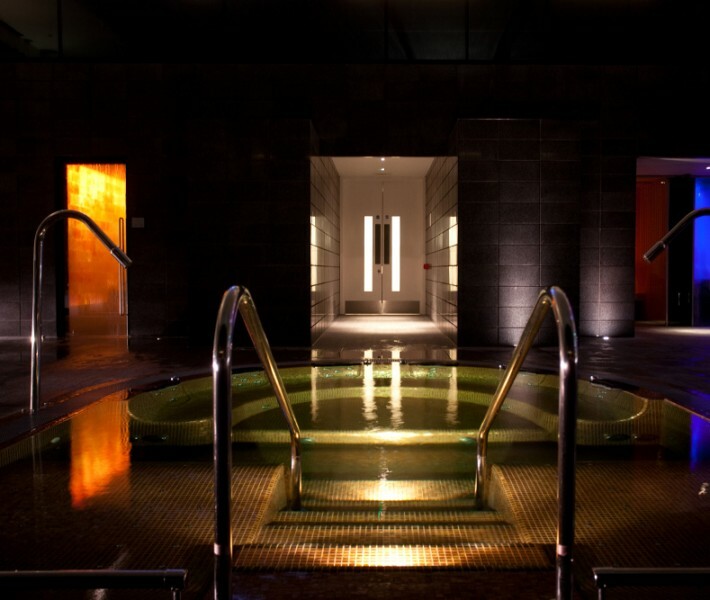 There are 89 bedrooms, 35 treatment rooms, Thermal Spa, Salt Steam Room, Swimming Pool, Library, Chill out room, state-of-the-art ‘playground’ gym, Shop, Strawberry Juice Bar and Restaurant and Bar area. 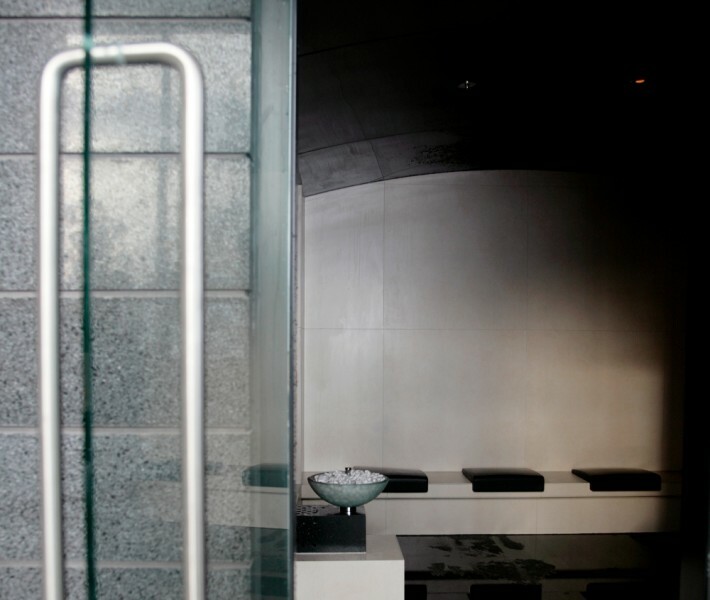 There are many different classes you can attend whilst you stay but unfortunately we didn’t have time to sample any :( The Oriental Bathing Experience treatment sounds amazing – 2 hours of pure relaxation and you even get to snooze in your own sleep pod at the end - bliss! We were then given a tour the gardens by the head gardener and his little dog, just as the sun was beginning to set. In a former life, it was the site of Thorpe Hall and in the 1920s was home to Lady Byng, who employed plant hunters to bring back exotic and rare plants from all over the world to create the stunning landscaping. You can borrow pink Lifehouse wellies, socks and umbrellas from reception if it’s a little muddy! 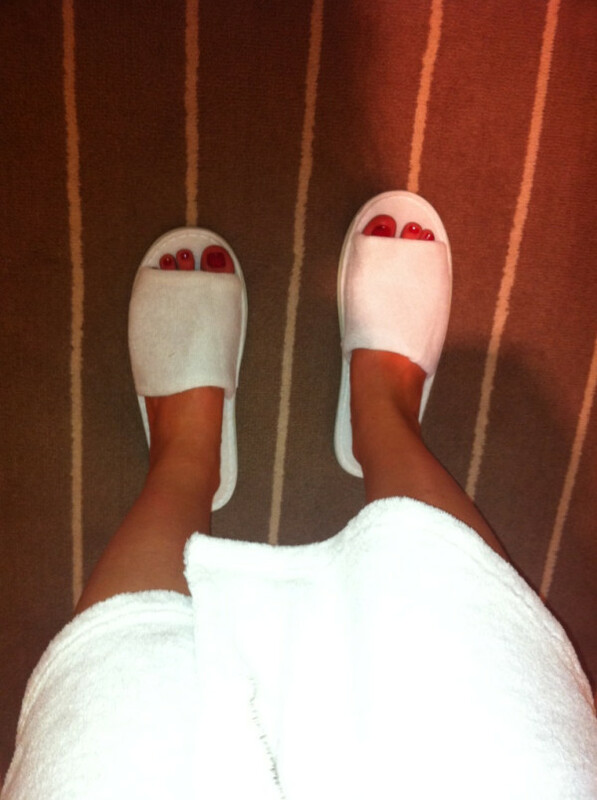 We went to our rooms to change into our fluffy robes and slippers (heaven!) and met in the cosy Orchids Bar for Afternoon Tea. We were treated to homemade apple & cinnamon scones with strawberry jam and clotted cream, homemade cakes, chocolate brownies & fancies, dill marinated cucumber sandwiches and English Breakfast Tea. It was absolutely delicious! After our Tea, we headed to the Salt Steam room which was so relaxing and good for detoxing then had a lovely dip in the thermal Jacuzzi pool which was brilliant for relaxing muscles prior to our treatments and it’s all salt water so no chorine. There was a large shower which had a choice of tropical, fresh or rain water! Anyway moving on... I had a house body massage using BABOR products which is tailored to your needs, so with me having back troubles, she concentrated on my back, neck and shoulders. After my massage I headed straight back to the MASSAGE CHAIRS (told you I’m obsessed! ) I was so relaxed I could of quite easily fallen asleep – which the staff encourage you to do if you feel the need. It was back to our bedrooms to have a shower and get changed for our evening dinner in Water lilies Restaurant, you can leave on your robe and slippers if you prefer as there are no rules and it’s very chilled out. There are no lettuce leaves in sight on the menu it’s nutritious, creative and seasonal fine dining with beautiful presentation. This spa focuses on your enjoyment and having a good time and you can even drink wine! Head Chef, Adam Tapia, is the brains behind the Imaginative menu. 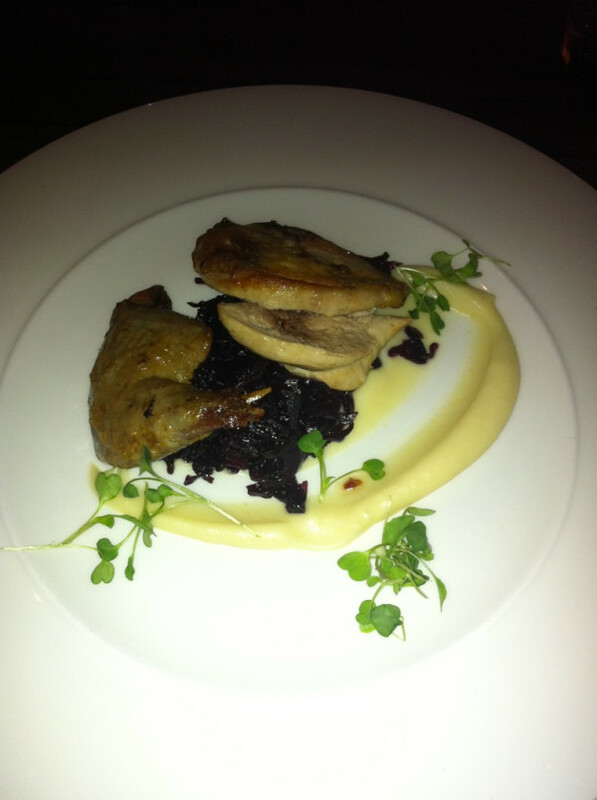 We all shared a bottle of Rose and to begin I had pan fried partridge, confit leg with red cabbage & parsnip puree which was delicious. 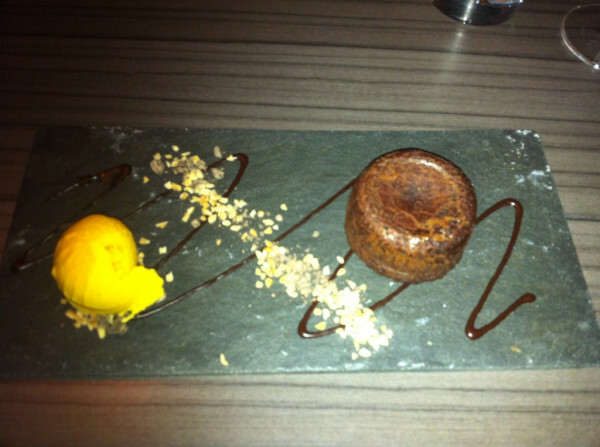 For main I had Chicken with olive oil crisp, mushroom lasagne, potato foam and a red wine jus and for desert warm chocolate fondant, pumpkin ice cream & caramelised almonds. 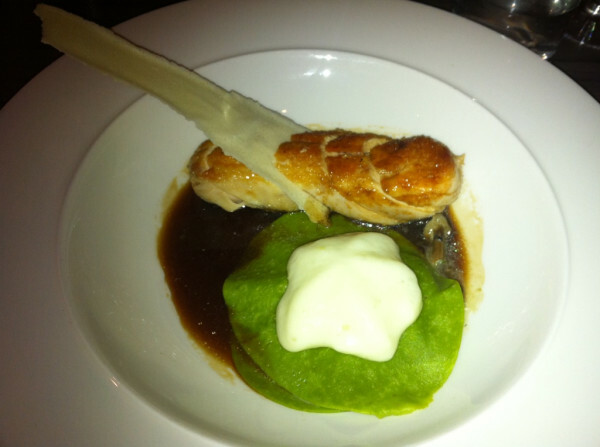 Although the portions weren’t huge, they were very rich and filling. So after a delicious meal, a couple of glasses of wine and a good girly gossip we called it a night and headed to our beds for a good night’s sleep. I slept really well and woke up early feeling refreshed. As I felt right at home I decided to dine for breakfast in just my fluffy robe and slippers! There was so much choice for breakfast – I decided on American pancakes with blackberries and maple syrup which was very filling. I also had Grumpy Mule Coffee and freshly baked croissants, fresh seasonal fruit salad, fruit juice, dried fruit and seeds. After breakfast we were booked in for a talk with in-house Naturopath Sue Davis, who gave us some tips on eating better and living a healthier lifestyle you can read her tips on how to banish the bloat here. Sue was lovely and I could of spoken to her for hours as I had a lot of questions for her! I mentioned to Sue that my Grandad made his own medicines and concoctions up, one he called ‘Spring Medicine’ which everyone was given whether we were ill or not and Sue was really interested in having his recipes! After our little talk, I went and had another session on yes you’ve guessed it THE MASSAGE CHAIR!! I really didn’t want to get up and leave! 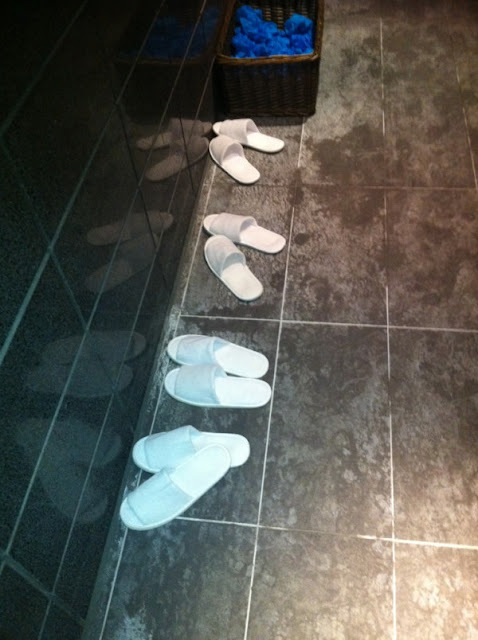 We had another quick dip in the Jacuzzi and salt room before having a quick shower, and heading for lunch. We ordered the Pave of Deham Vale Beef, with Heston-like touches like the truffle foam, balsamic cherry tomatoes, baby leaf salad and Maldon sea salt seasoned chips served in a mini chip pan! After our lovely lunch we were picked up my the lovely taxi man and dropped off back to the train station. I thoughly enjoyed my stay at Lifehouse spa, and wished it had been longer to sample some of the classes and enjoy the spa facilities some more. I felt more rested than having a week holiday in the sun! All the staff were friendly and went out of their way to ensure we had a lovely time. I would definitely recommend this spa to anyone looking for a little pampering, hen party or a perfect girly (or couple) weekend away. The Oriental Bathing Experience treatment sounds amazing would love to try that out ahhh! It’s definitely true when they say The Only Way is Essex! 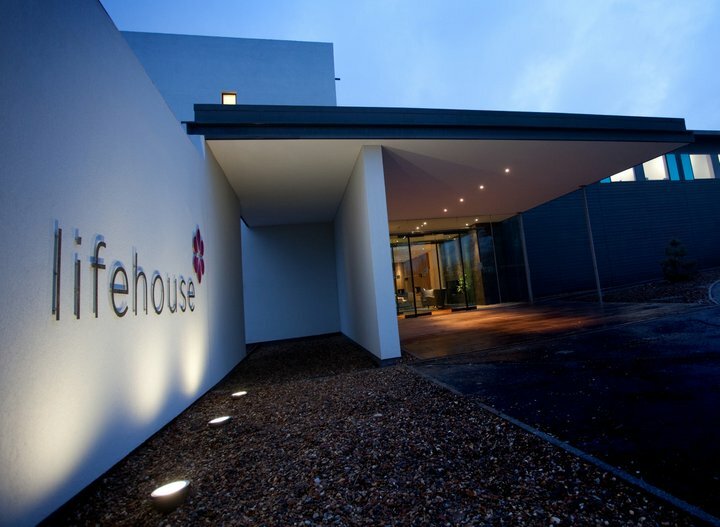 For further information visit www.lifehouse.co.uk Prices start from £175 based on 2 sharing, breakfast, lunch and dinner, one night stay, 50 minute body massage, welcome drink, valet parking and unlimited use of the thermal spa, gym and gardens. 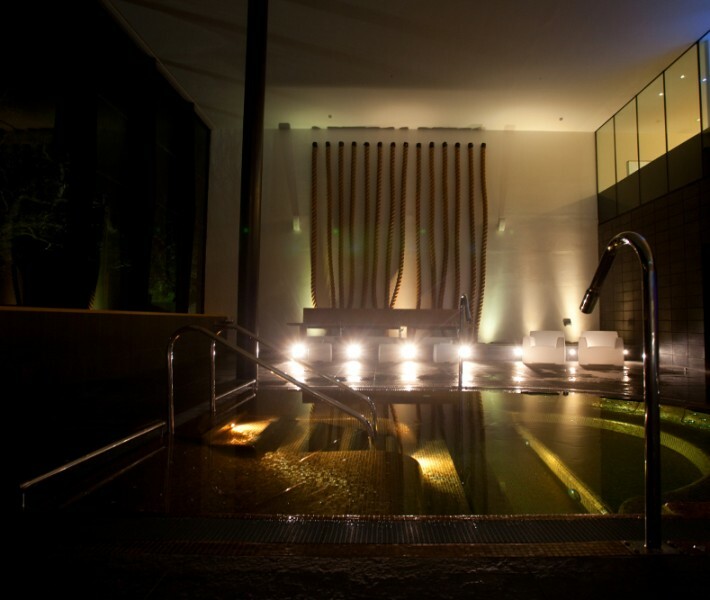 There is a special offer until 31/3/12: The LOVE Life package is all about celebrating pure indulgence and relaxation. Relaxing overnight stay, unlimited use of the thermal spa, gym and gardens. Enjoy a pre-dinner Champagne cocktail before a delicious 2 course evening meal in Waterlilies restaurant, and a continental breakfast and a 35 minute BABOR treatment. £99 per person Mon-Thurs, £134 per person Friday-Sunday. To book this special deal go to www.lifehouse.co.uk or call 01255 860050. I went there back in August with my sister and it was the most perfect spa break... The only downside was the drive there and back which for us was 2 1/2 hours. Definitely worth it while you are there and such value for money! The food is fantastic and restaurant worthy. A great selection of classes - my sister and I tried meditation, yoga, fitness and spent hours in the jacuzzi and sipping tea on the balcony. Would definitely recommend! Pure luxury!